DrawWing software automaticaly describes insects wings and helps to identify them. 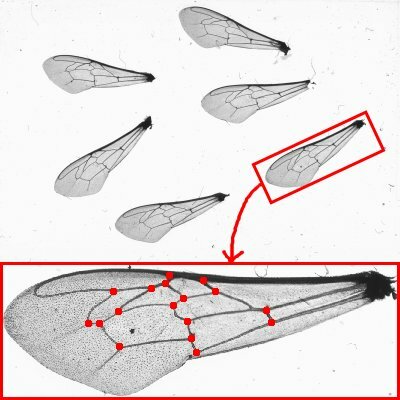 DrawWing is a software for analysis of insect wing images and extraction of some information about the wings. The information can be used for insects identification. At the moment DrawWing is designed to work with honeybee (Apis) wings. In future it should work properly with all insects wings. Wing of female of Myolepta nigritarsis. Wing of female of Myolepta dubia. Wing of female of Hammerschmidtia ferruginea. Wing of male of Brachyopa pilosa. Wing of female of Melanogaster nuda. Wing of female of Bolbomyia macgillisi from James and Turner (1981, fig. 9).